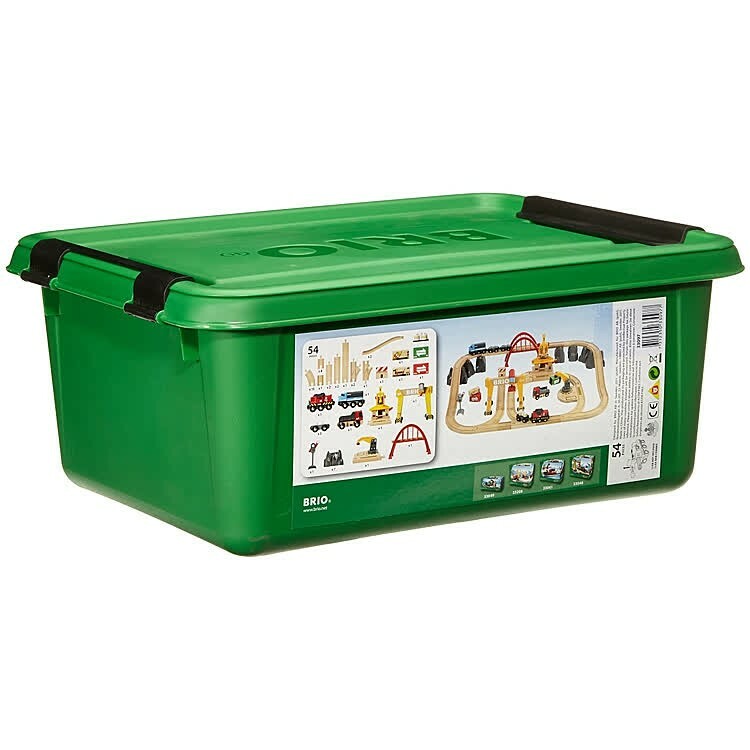 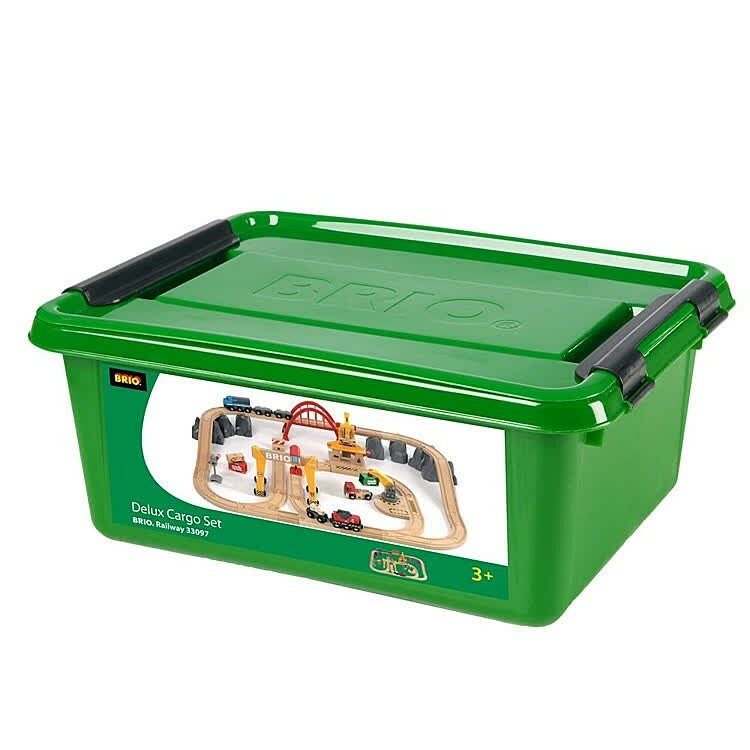 Full of amazing play accessories and building pieces, this Brio Cargo Railway Deluxe Set is a an ultimate play center for all kids who love vehicles and construction. 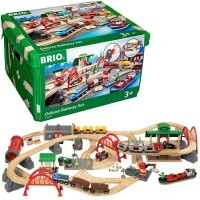 This Brio set is your boy's dream gift! 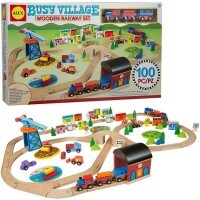 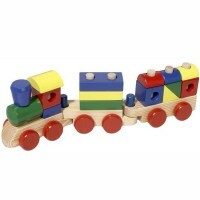 Hours of imaginative play is guaranteed for all preschool and older train lovers. 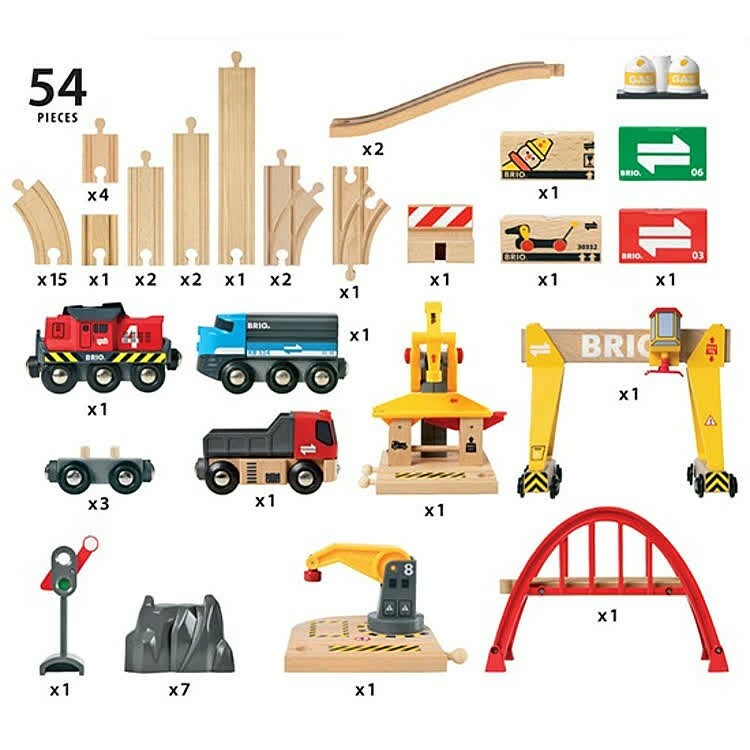 Made to last for years of play, this deluxe Brio set from Educational Toys Planet brings 54 building pieces, magnetic vehicles, play accessories to inspire your child to construct and play! 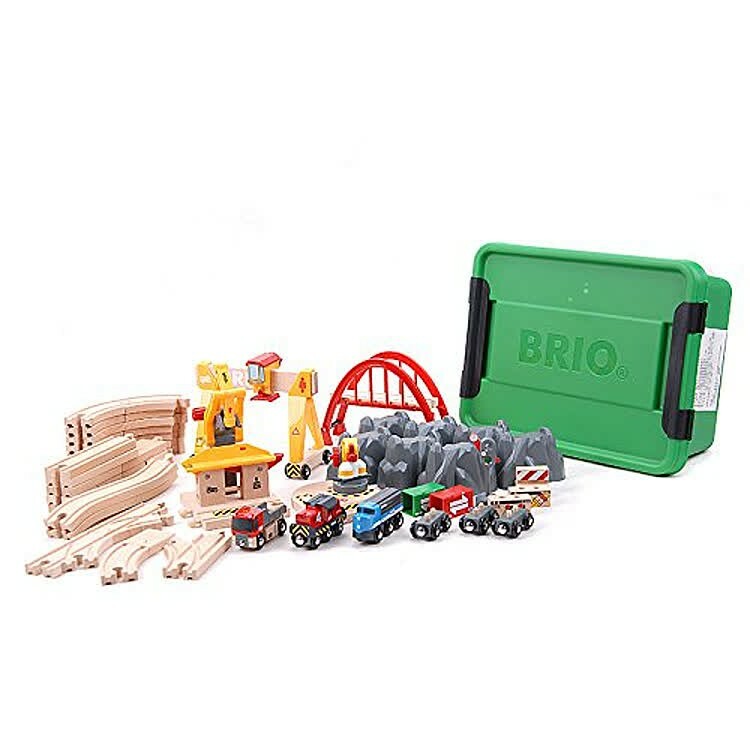 As all Brio world-famous train playsets, Brio Deluxe Cargo Railway 54 pc Wooden Train Set offers open ended building, attractive design, bright colors, superb quality and unbeatable play value. 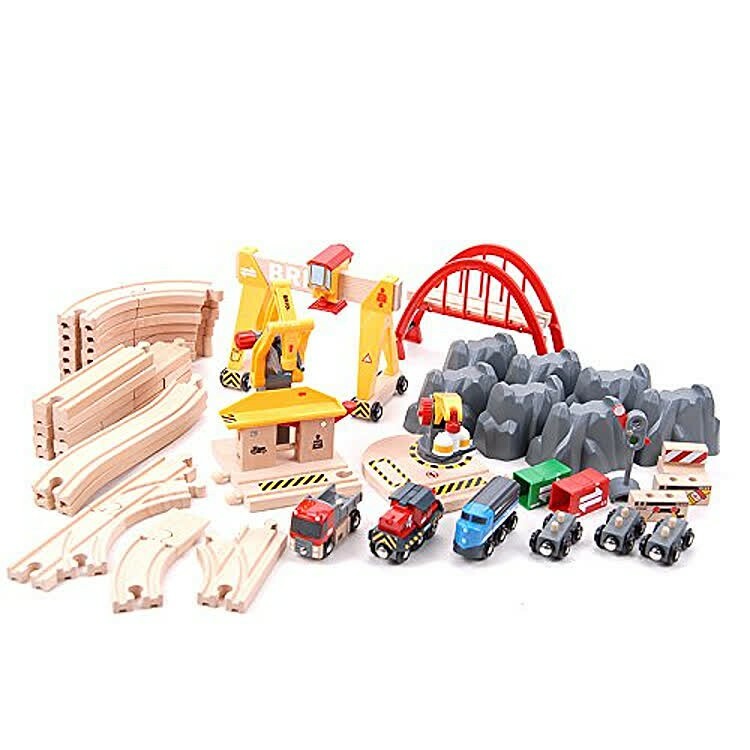 This ultimate cargo vehicles railway playset from Educational Toys Planet features 54 pieces including curved and straight wooden tracks, specially designed fork tracks, rolling cargo station, rotating crane, loading station, bridge supports, and tons of fun accessories to create a cargo train station on tabletop or floor or your play room. 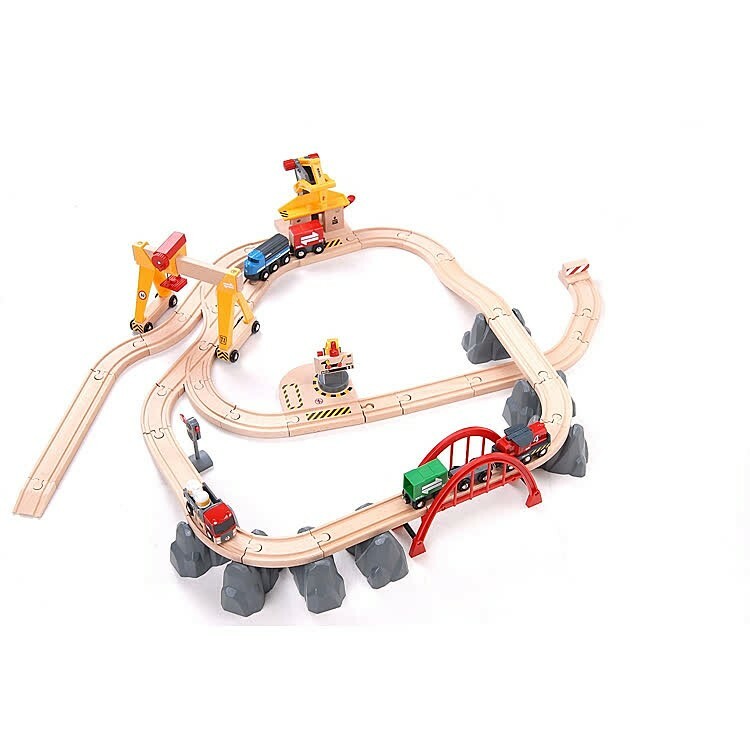 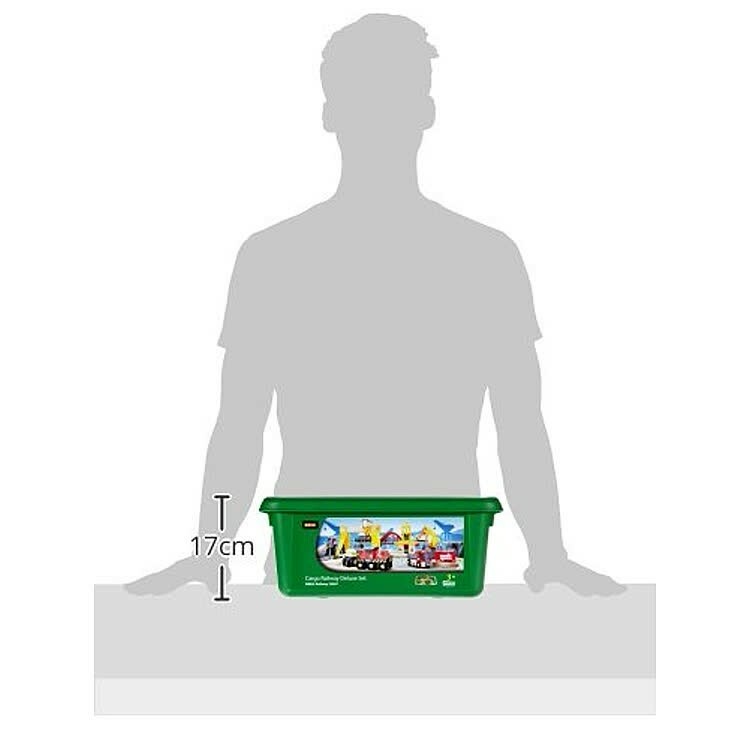 This deluxe train play set contains 2 magnetic cargo trains, connecting wagon with 2 pegs to load it with the removable freight, and a dump truck with tipping trough to unload the cargo anywhere you like. 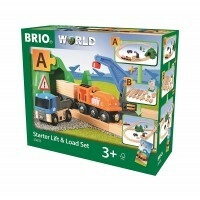 Assembled Brio Deluxe Cargo Railway 54 pc Wooden Train Set is about 32 x 22 inches. 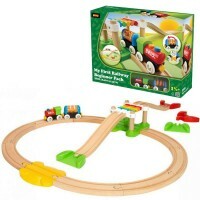 This super railroad playset requires a AA battery (not included). Compatible with all Brio toy trains and railway pieces, this train playset is a an ultimate play center for all kids who love vehicles and construction. 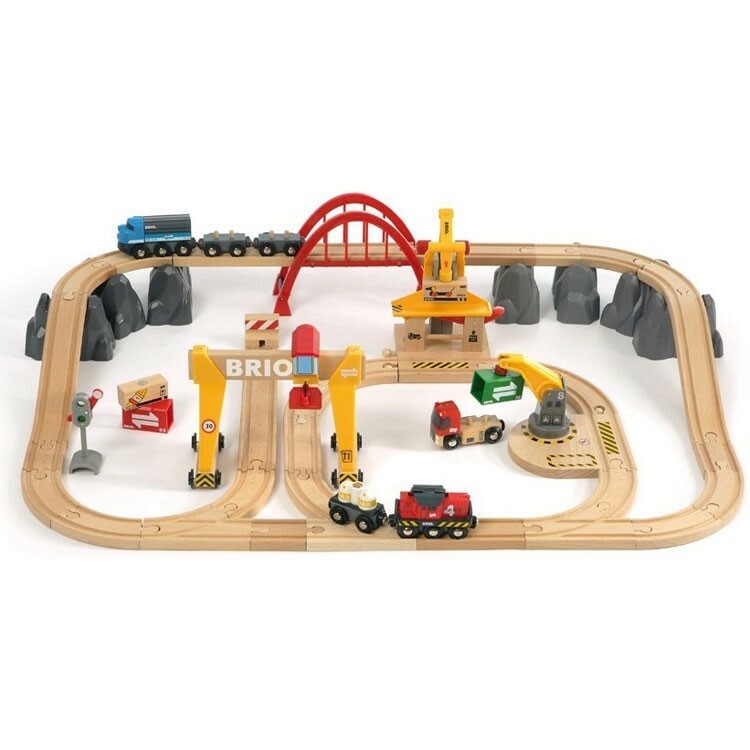 Dimensions of package 22" x 32" x 7"
Write your own review of Brio Deluxe Cargo Railway 54 pc Wooden Train Set.